A Quick Pest Inspection: Why It Is Important? It can be quite a challenging task to maintain a big property. But the cost of maintenance should never ever stop you from following the maintenance plan because it is one of the most essential aspects of owning a property. In this, pest inspection is also included because it helps you to take the best care of the property. Pests can have a very bad impact on the condition of any property, whether it is just a commercial property or probably a two-storey home. Cockroaches and termites can destroy the specific features of any residential or commercial building. If you allow the pests to grow in the property, it will definitely make things worse. The reason why pest inspection Perth has gained a lot of popularity is because people want to protect their property from any kind of pests. With the knowledge and experience of the pest inspectors, they can quickly mark the areas which are more prone to the infestation of pests and also find the species which might be building nests. There are some specific areas which are more prone to infestation. If you don’t take care of the property, it will be easier for the pests to grow. This is one of the major reasons why you should look for an expert who specializes in pest control Perth. For instance, dark spaces like basements are the most favourite spots for termites. 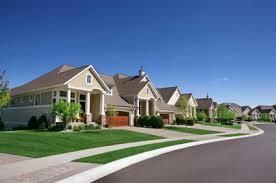 You can easily protect your property with the help of a quick property inspection. Keep all these great tips in mind to take the best care of your property.